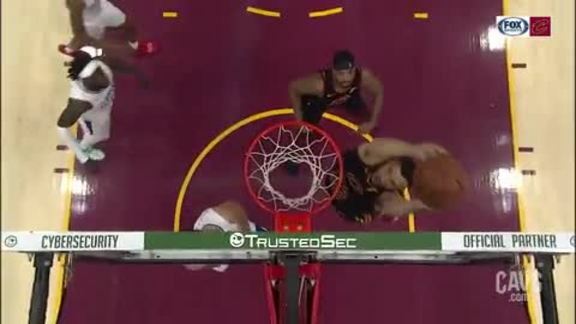 Wrap-Up -- The clock finally struck midnight on the Cavaliers’ recent roll at The Q. The Wine & Gold nearly made it five straight on their home floor, cutting the Clippers’ late seven-point lead to just a deuce with 6.4 to play. But Jordan Clarkson’s step-back three-point attempt rimmed out at the buzzer as Los Angeles held on for the 110-108 win on Friday night. The Cavaliers got off to a strong start – scoring 40 points in the opening period and taking a 15-point edge after one. But the Clippers outscored Cleveland by 24 points over the next two quarters and took a double-digit lead midway through the fourth. L.A. struggled from the stripe down the stretch, allowing the Cavaliers to whittle down the lead. And when Kevin Love scored on a short hook shot with 10.7 to play, the Wine & Gold had cut the lead to just a point, 109-108. Patrick Beverly was fouled on L.A.’s next possession and split the pair, giving Cleveland one more chance for the win. Clarkson found himself against Danilo Gallinari outside the arc as time ticked away. He jab-stepped the veteran big man and launched a 27-footer that rattled around the rim and out as the buzzer sounded, giving Cleveland its first home loss since March 2. 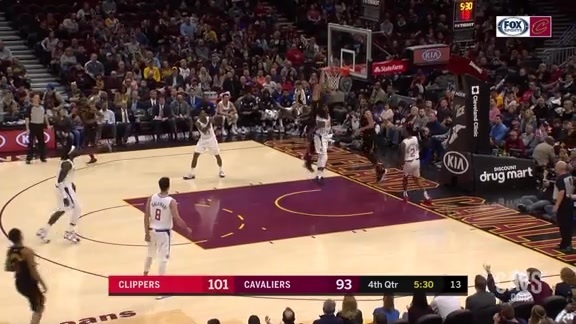 Clarkson was one of three Cavaliers to top the 20-point plateau on Friday night – notching 20 points in 33 minutes off the bench, going 9-for-19 from the floor to go with five boards and a pair of assists. Kevin Love led the Wine & Gold with 22 points on 8-for-14 shooting, including 4-of-7 from beyond the arc, to go with eight rebounds. Kevin Love tallies a team-high 22 points in loss to Clippers. Collin Sexton tallied 20 points for the eighth straight game – finishing with 20 points, going 9-for-15 from the floor, including 2-of-4 from long-range, to go with four boards and an assist. With his first triple of the night, Sexton became just the 26th rookie in NBA history to notch 100 three-pointers and 1,000 points in a season. Larry Nance Jr. posted another solid floor performance in his second game back from a chest injury – adding 14 points on 6-for-9 shooting to go with a team-best nine boards and a game-high three steals. Cedi Osman was the fifth Cavalier to register double-figures, chipping in with 11 points, three assists and a pair of boards. Gallinari led both squads on Friday night – finishing with 27 points on 11-for-15 shooting. Turning Point -- After losing their early double-digit lead, the Cavaliers still went into halftime up a deuce. 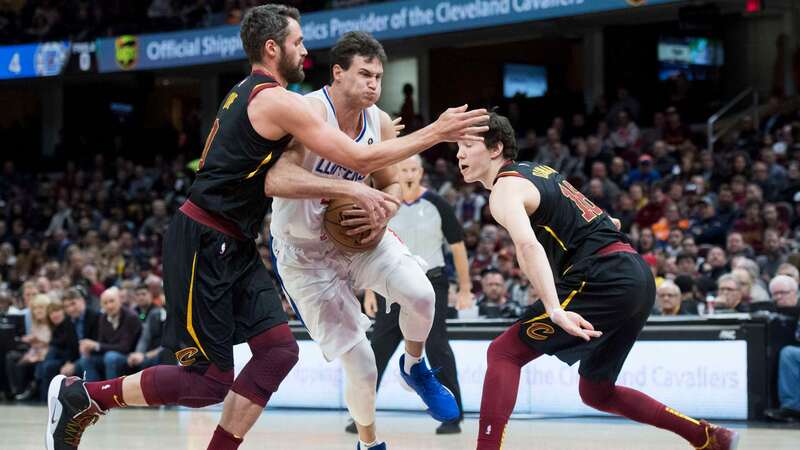 But the Clippers began imposing their physicality on Cleveland in the third quarter – tying the contest at 65-apiece less than two minutes into the second half. L.A. took a brief lead, but Kevin Love’s trifecta got the Cavs back to within a point, 79-78, with just under five minutes to play in the third quarter. 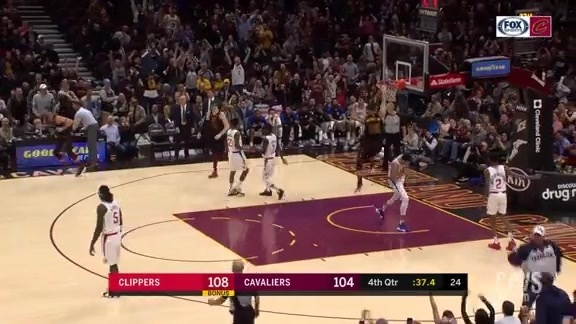 But the Clippers would go on a 10-2 run to give themselves some breathing room that they’d need to weather Cleveland’s rally late in the fourth quarter. By the Numbers – 1,221 … points that Jordan Clarkson has tallied off the bench this season, topping Campy Russell for the most ever scored by a reserve in Cavs franchise history. "It’s been good to see ourselves play well against teams that are fighting for playoff spots, that are in the playoffs, that are going to play postseason basketball. So I think it’s good. This is something that we wanted to finish the season (doing), and I think it’s good to take those strides in the right direction whether we win or we lose, so long as we’re fighting to get better." Up Next -- After wrapping up the three-game homestand with Friday night’s loss to the Clippers, the Wine & Gold are now down to their final nine games – beginning with a Sunday afternoon meeting with the Bucks in Milwaukee. 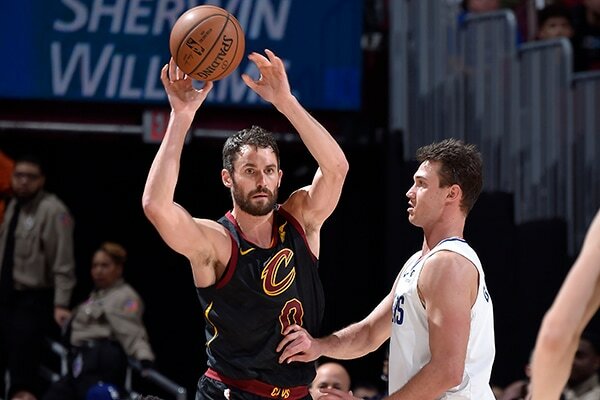 Cleveland returns home for a Tuesday night meeting with Boston at The Q before embarking on their final road trip of the season – a five-game, nine-day junket with stops in San Antonio, Los Angeles, Phoenix, Sacramento and Oakland. The Cavs wrap up the season with a pair at home – welcoming the Spurs and Hornets to close out the campaign. 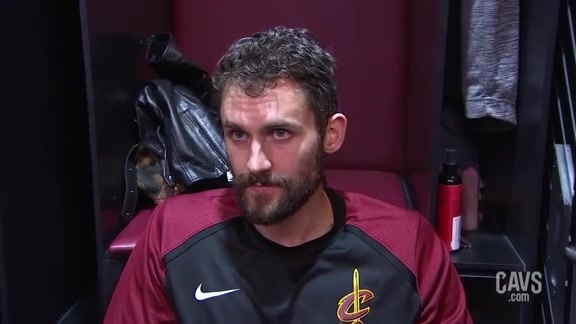 Cavaliers forward/center Kevin Love spoke with the media following Friday’s loss to the L.A. Clippers at Quicken Loans Arena. 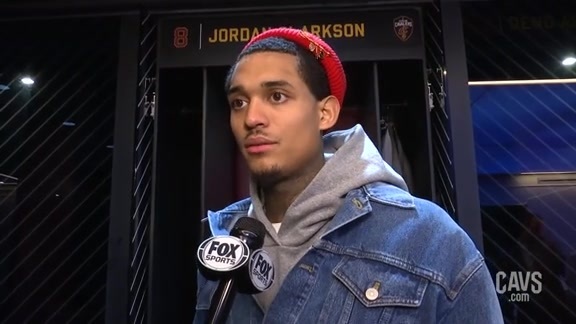 Cavaliers guard Jordan Clarkson spoke with the media following Friday’s loss to the L.A. Clippers at the Quicken Loans Arena. 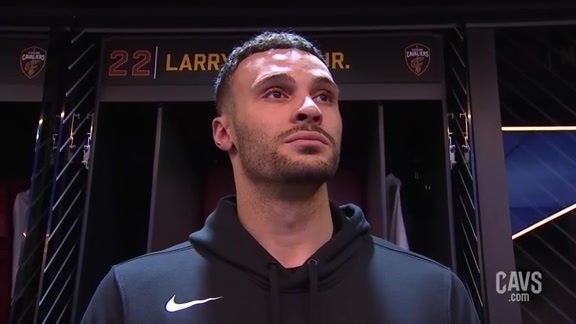 #CavsClippers Postgame: Larry Nance Jr.
Cavaliers forward Larry Nance Jr. spoke with the media following Friday’s loss to the L.A. Clippers at the Quicken Loans Arena. 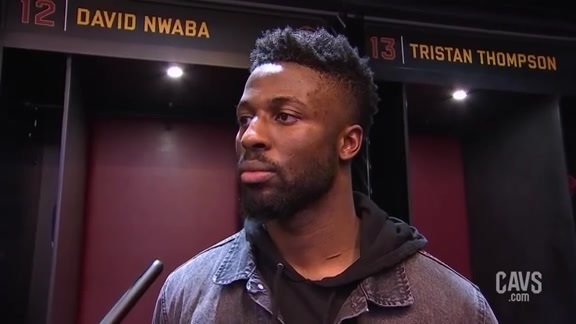 Cavaliers guard David Nwaba spoke with the media following Friday’s loss to the L.A. Clippers at Quicken Loans Arena. 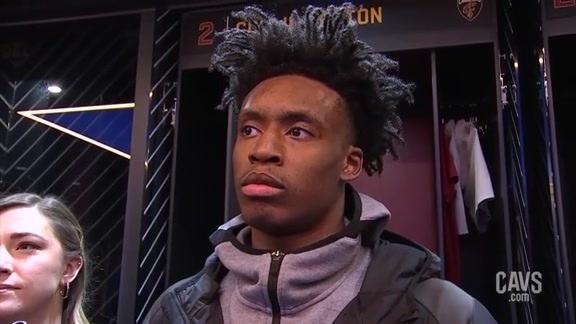 Cavaliers guard Collin Sexton spoke with the media following Friday’s loss to the L.A. Clippers at Quicken Loans Arena. 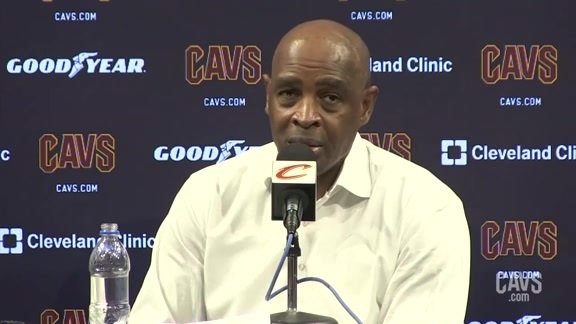 Cavaliers head coach Larry Drew spoke with the media following Friday’s loss to the L.A. Clippers at the Quicken Loans Arena. Three Cavaliers score 20-plus points in Cleveland's loss to Los Angeles on Friday night at Quicken Loans Arena. 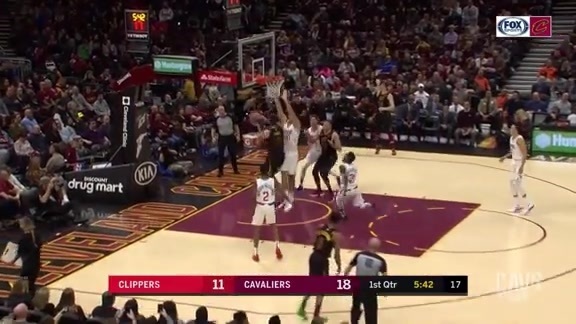 Larry Nance Jr. added to his dunk collection on the night with a big dunk late in the fourth quarter. 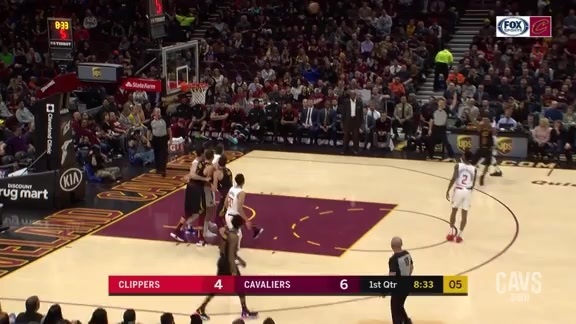 Larry Nance Jr. finishes off Kevin Love's shot with an emphatic dunk midway through the final frame. 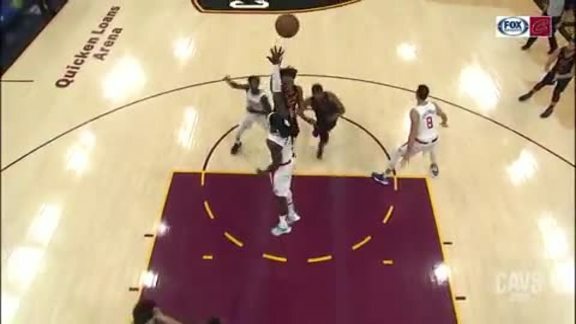 David Nwaba does it all himself, swiping the ball from Los Angeles before burying the layup in this ‘More Driven Highlight’ driven by Goodyear. 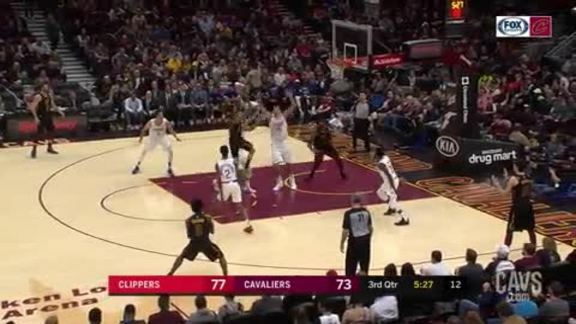 Jordan Clarkson goes over the heads of two Clippers players in the third quarter on Friday night. Cavs quickly convert on offense with a nice three-pointer from Kevin Love early in the third quarter. 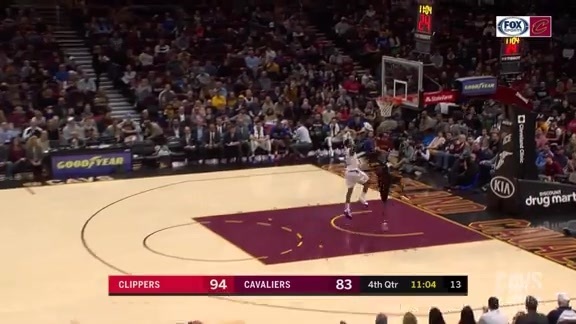 Collin Sexton steps up in the key to deliver a sky-high shot in the second quarter against the Clippers. Larry Nance Jr. grabs the offensive rebound in the paint before flushing it with authority in the first quarter. 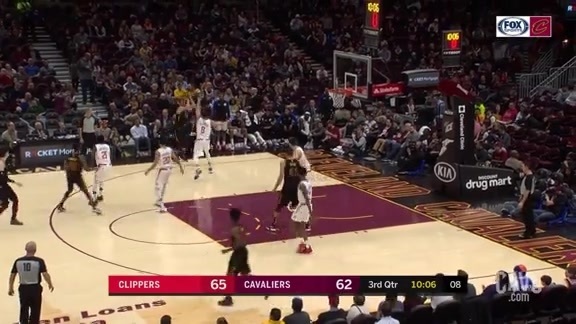 Kevin Love makes a heads up pass beneath the basket, finding Cedi in the corner for the three-pointer. Collin Sexton throws a few moves at the Clippers' defense before canning the three-pointer. 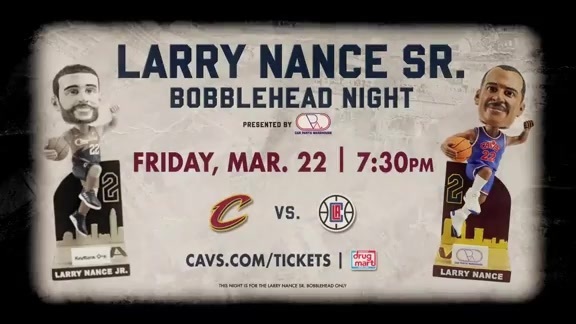 Complete the collection and grab a Larry Nance Sr. bobblehead (presented by Car Parts Warehouse) for the March 22 contest versus the L.A. Clippers. Great seats are still available! 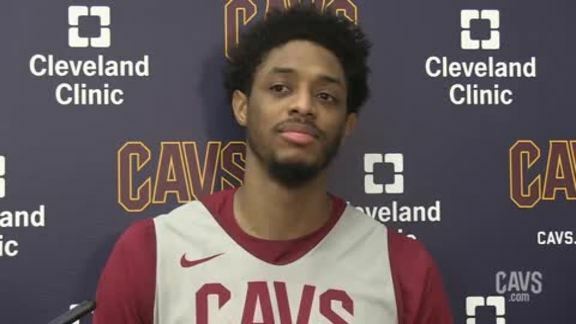 Cavaliers guard Brandon Knight spoke with the media following Friday's shootaround at Cleveland Clinic Courts as the Wine & Gold prep for the Los Angeles Clippers. 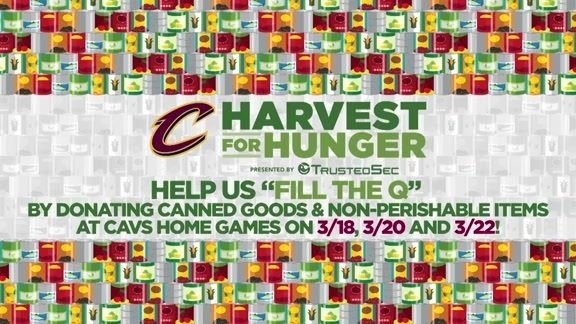 Join the Cavaliers for their 2019 Harvest for Hunger campaign (presented by TrustedSec) and donate canned goods and non-perishable items to the games on March 18th, 20st and 22nd at The Q!